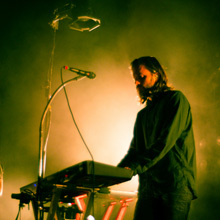 Unleashing a very unique amalgamation of sounds, today we have Esben and the Witch and their latest effort “Nowhere”. 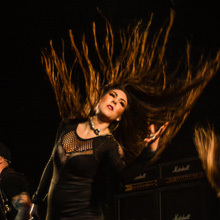 Featuring a darker tone than their previous releases, this album perfectly contrast the fragility of Rachel Davies vocals and the commanding presence of heavy guitar riffs and hypnotic drumming. Blurring the lines between several genres and influences, this release is certainly one to digest after a good amount of listens and with undivided attention. Slowing building up their atmosphere in “A Desire for Light”, the band nicely shuffles elements around to create a very powerful and direct song. 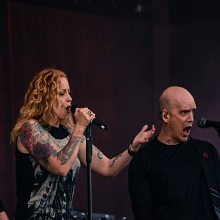 The band’s sound while simplistic in nature, allows them to play around with the song tempos while crafting memorable tracks that keep you guessing and engaged. The best example of this is the exploratory nature of “Dull Gret” with its heavy guitar riffs, and the dreamy folky piece “Golden Purifier”, which mostly focuses on subtle percussions and solemn guitar leads. Just before the end of the year we received on our review queue on of our favorite albums of 2018: Crippled Black Phoenix’s “Great Escape”. As one of the most melancholic and mellow Rock albums we have heard, this international band unleashes over one hour of truly disarming music. Mixing elements of bands like Anathema, God is an Astronaut and countless others, this is definitely one of the most unique and diverse releases you will hear in 2018. After opening with the dreamy “You Brought it Upon Yourselves”, the band sinks into the bleakness of “To You I Give”, a Post-Rock-ish tune in nature. Masterminded by Justin Greaves, this band’s releases are always very rich and diverse and extremely hard to categorize, but always top notch in terms of quality. After the interlude “Uncivil War, Pt. 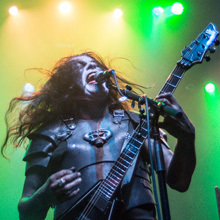 1”, “Madman” features a dark wave vibe with heavy synths and a very martial pace. 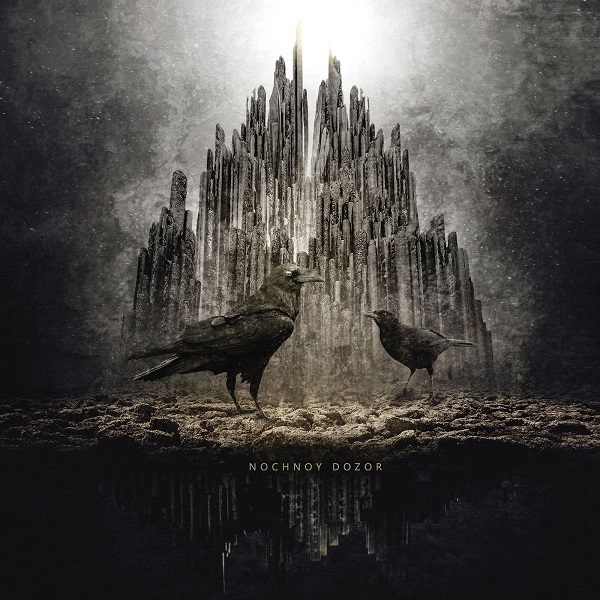 Always challenging listeners with truly unique and very interesting releases, today Prophecy Productions brings us Nochnoy Dozor and their self-titled debut album. Mixing tons of atmospheric elements with Rock and Doom influences, this six song EP is one very crafty and engaging release. 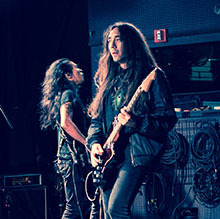 While the music is quite excellent, what distinguishes the band is the dual vocalist approach that fully develops the listener on very sultry and melancholic ride. The release opens with “Black Hand” a very enigmatic piece filled with lush vocal melodies and very moody music that sets a very lounge-y tone. 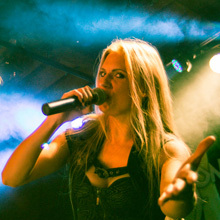 Lina and Revekka have great chemistry and it shines in songs like “Stains”, where they sections perfectly complement each other and create a very playful dynamic in the duet passages. 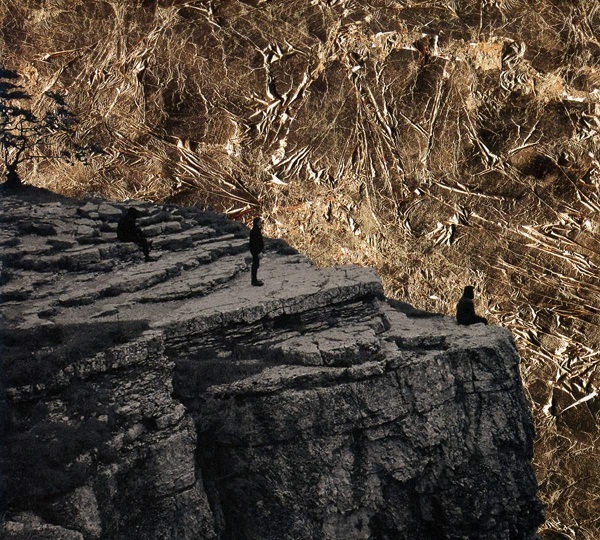 Moving on to Doomier territories, “Closer” and “All Mine” feature heavy distorted riffs and a sound similar to outfits like Subrosa, Black Mare and Bathsheba. Hailing from France, today we have dark post-punk/rock outfit Varsovie and their latest full-length release “Coups et Blessures”. Filled with moody songs and superbly catchy and somber arrangements, this release is definitely one of the ‘non-metal’ highlights we have heard in 2018. Recommended for fans of bands like Spiritual Front and similar outfits, Varsovie does a great job delivering a hard rocking release that is captivating and engaging. Opening with the bluntness of “Coups et Blessures”, the band sets a very lively tone with catchy percussions and interesting guitar leads. 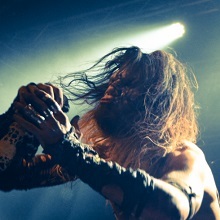 The mood is quite somber and yet very raw, allowing emotions to easily flow through brilliant tracks like “Revers de l’aube” and our favorite “Va dire à Sparte”. 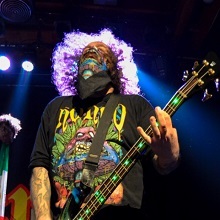 While not even close to Metal music, these last two tracks feature some very powerful and engaging riffs that make them quite memorable and perfectly fitting for the band’s overall attitude. 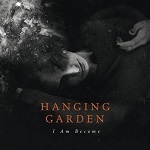 Just in time for the Fall and Winter seasons, today we have the Hanging Garden’s very dark and atmospheric “I am Become”. These Finnish Melodic Death/Doomsters unleash 46 minutes of catchy and crafty music that is quite diverse in nature. 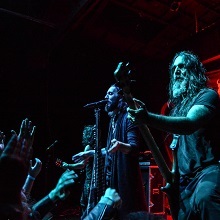 Filled with brilliant melodic Death/Doom Metal elements, this album perfectly blends the band’s old-school sound with their more modern and atmospheric influences. 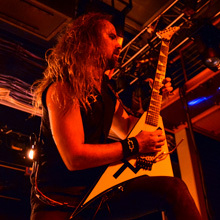 Kicking off with “As Above, So Below”, we get a certain Insomnium guitar driven vibe that invites the listener to head bang while listening and settle into a dark and melodic vibe. 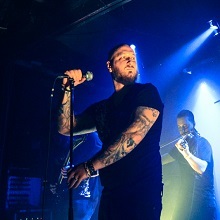 Things go into a Swallow the Sun vibe with the aggressive riffing of “Hearthfire”, a track which features guest vocals from Tomi Joutsen from Amorphis fame. Interestingly enough, the band’s more Atmospheric Rock side comes out in the excellent “Elysium”, a piece that is quite melancholic and moody. We are constantly surprised when a band that we actually quite enjoy reaches out to us via our website to submit their music for review. 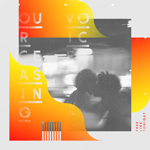 Today we have Austria’s melancholic/Atmospheric Gothic/Alternative Rock trio Our Ceasing Voice with their latest full-length release “Free Like Tonight”. 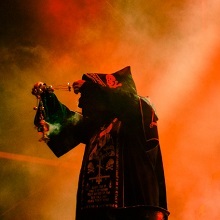 Delivering eleven moody tracks, this release continues the band’s musical exploration of mellow and bleak territories. 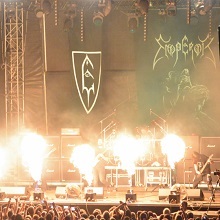 Combining elements from bands like H.I.M, End of Green and Katatonia, the band kicks off with the moody “The Arsonists”. 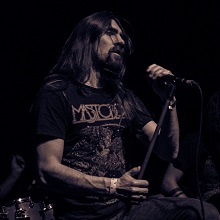 In this very bleak song, Dominik Dörfler’s raspy vocals instantly set a very dark mood that is greatly enhanced by a slow tempo and minimalist atmospheric elements. 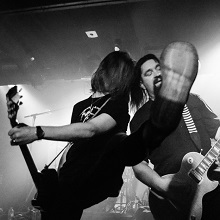 Things slowly progress with lush tracks like the playful “Gone”, the entertaining album-title track, and the somber “New York in the Rain”, which incidentally feels a whole lot like watching tear drop on a quiet evening. Hailing from Italy, today we have axe man Lelio Padovani and his hyper mellow Jazzy/Rock instrumental release “Waves”. Very aptly titled, this release will soothe your mornings or evenings with four tracks that are quite cinematic and engaging in nature. 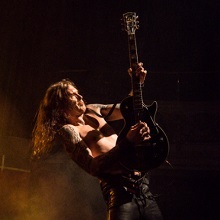 We are huge fans of guitarists solo releases and while many of the focus on speed and acrobatics, this one focuses on creating enjoyable and highly melancholic songs. Opening with the lush “Time Traveler”, we get this cinematic/video-game-ish vibe from the tempo changes in the song. The keyboards nicely provide a good atmospheric backdrop for the playful interchange between the bass and the lead guitar. 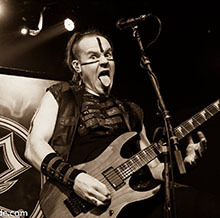 Continuing with the upbeat mood, “Siren Song” delivers great guitar leads under a very hypnotic bass line. This track is one of your typical songs were the guitars shine, but they never fully overpower the atmosphere created by Lelio. 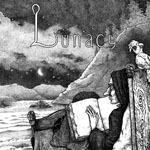 Hailing from Belorussia, today we have Lunacy, formed by Morena and Stone of Closed Room fame. In this full-length release, “Act One. 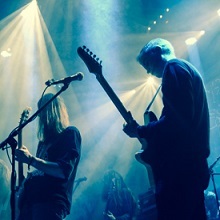 Youth Manifesto”, we are treated to eight tracks of brilliant atmospheric Rock / Post-Metal in the vein of The Gathering, Amesoeurs, and Closed Room. If you like uniquely odd and very emotional female led dreamy music, this is definitely a release worth checking out. Opening with the melancholic “The Ballad of Youth”, we are instantly graced with Morena’s sultry vocals surrounded by dreamy guitars and a very moody tempo. Interestingly enough this track takes a turn, and delivers a very aggressive closing. 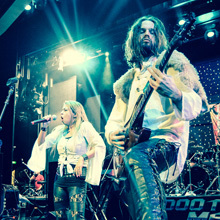 Delivering a more intense musical experience with lush guitar leads and a vibrant pace, “The First and the Last” is a very upbeat track that nicely sets the mood for this dynamic release. 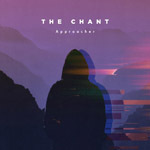 Being huge fans of moody and atmospheric music, today we are quite pleased with the return EP of Finalnd’s The Chant, titled “Approacher”. 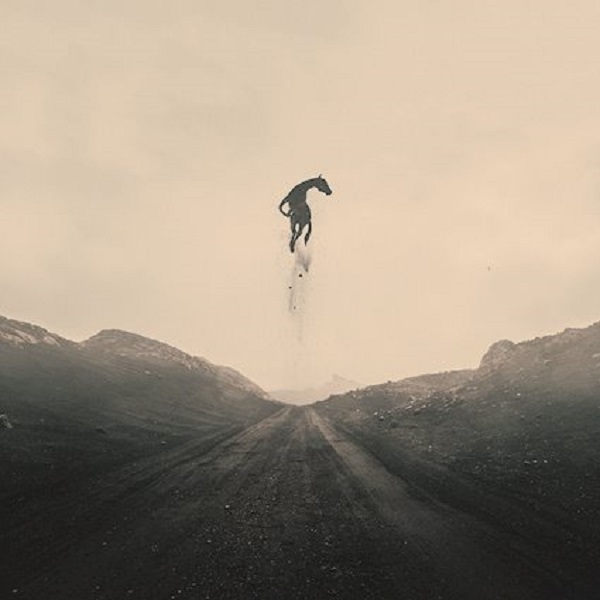 Delivering four brilliant tracks, this release is for highly melancholic people that love bands like Anathema, The Gathering, The Man-Eating Tree and Katatonia. Filled with raw emotion, this is one of those releases that will captivate you from start to end. 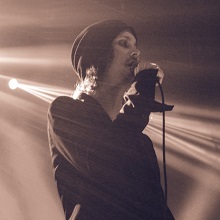 Kicking off the release with “Unsolved”, Ilpo Paasela’s vocals are instantly recognizable as they emerge through the atmospheric keyboards. The track nicely builds up and sometimes reminds us of bands like Lacrimas Profundere and To/Die/For but a bit less Gothic. Things turn a bit into Industrial territories with the sinister “To Surrender”, a piece that showcases the band’s versatility and range. 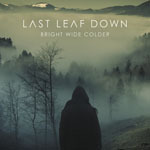 Delivering one of the dreamiest releases of 2017, today we have Last Leaf Down and their latest release “Bright Wide Colder”. Brilliantly combining Shoegaze with Depresive/Atmospheric/Post Rock elements, the band manages to produce 13 mesmerizing tracks that will hypnotize you for the duration of this release. If you like bands like Katatonia, Slowdive, Alcest and Les Discrets, this is definitely an album you don’t want to miss. 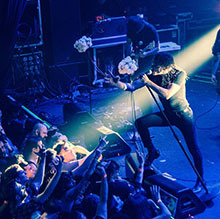 Opening with “Purple Skies”, the band sets a very atmospheric mood with dreamy guitars and emotional clean vocals. This mellow mood is nicely continued by excellent tracks like “Ghost Trails”, “Blind Mind”, and the cathartic “Deaf Heart”. 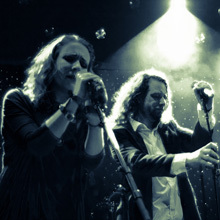 The band does a brilliant job in crafting unique songs filled with melancholy and superbly catchy moments.